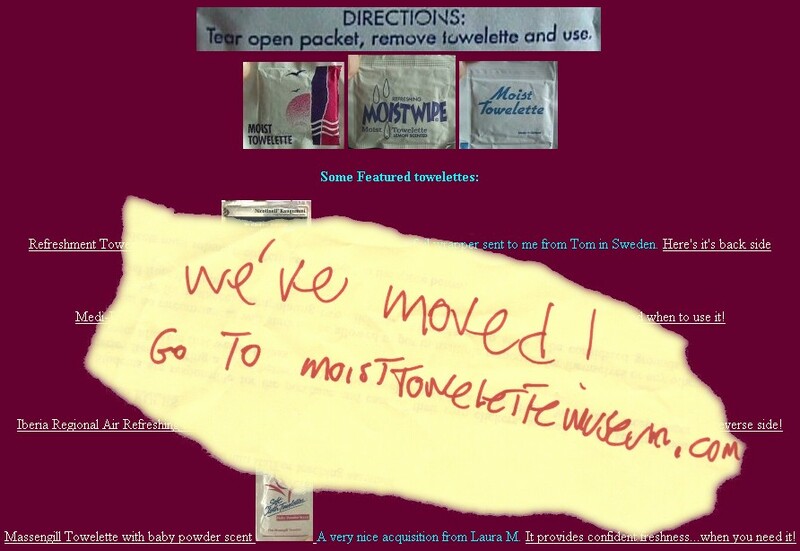 The Moist Towelette "Online" Museum has moved! 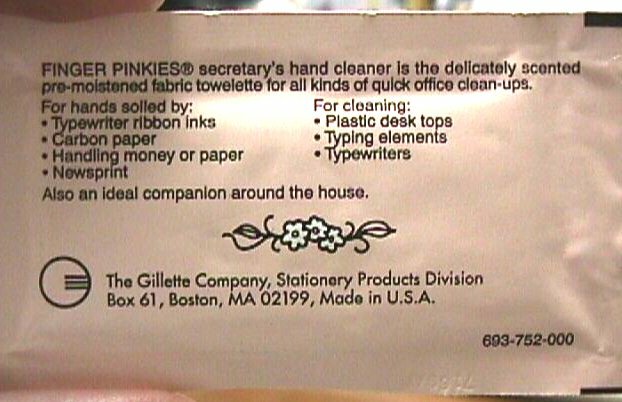 Visit www.moisttowelettemuseum.com to see the new location. 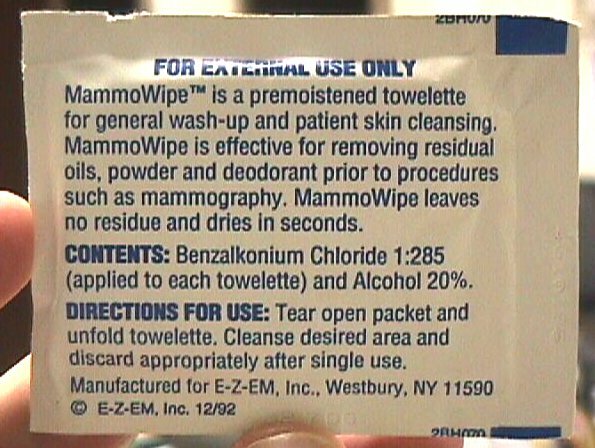 MammoWipe patient cleansing towelette and it's directions. A donation from Linda. Remember, if you're over 40, get a mammogram every year. 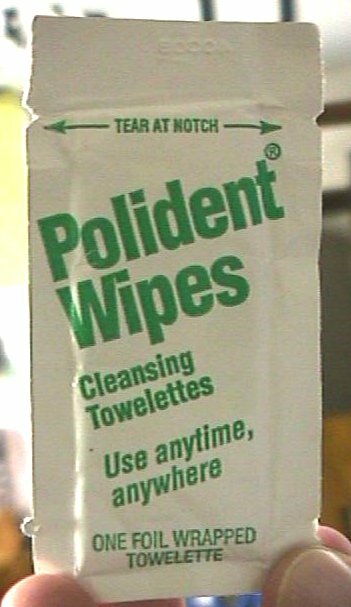 Polident Wipes Thanks Christine. 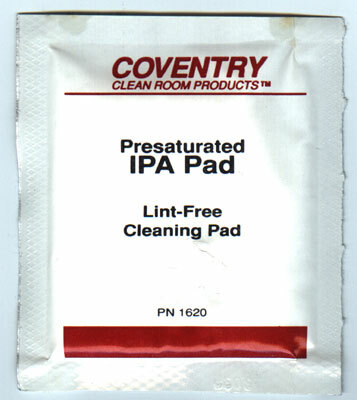 Can be used with dentures in or out! 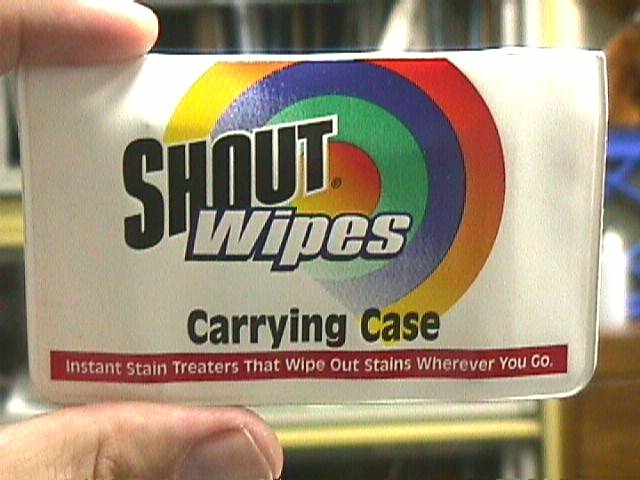 Shout Wipes with carrying case On loan from Jan W. Get help from the Stain Professionals by calling 1-800-991-SHOUT! Xerox, Coventry and Goldstar ! 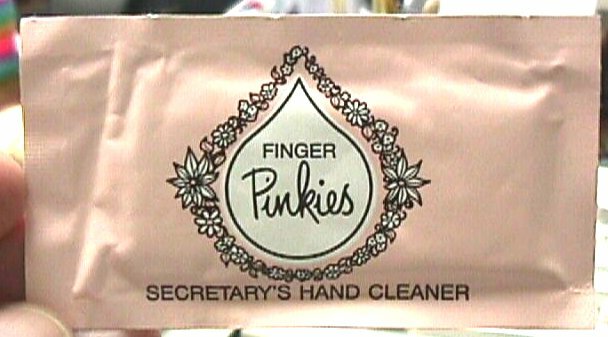 Finger Pinkies The Secretary's Hand Cleaner. Also an ideal companion around the house? Donated by Jeff H.
According to Anita in Brooklyn, this is called "OTEFUKI" Te is "hand" Fuki is "wipe." 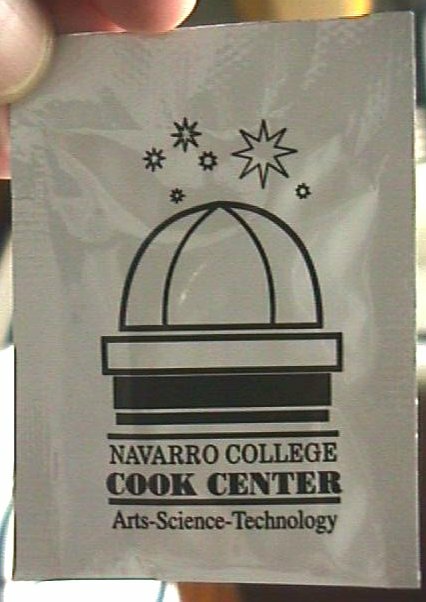 the O is the Japanese honorific, so you could call it "Honorable Hand Wipe" if you like. 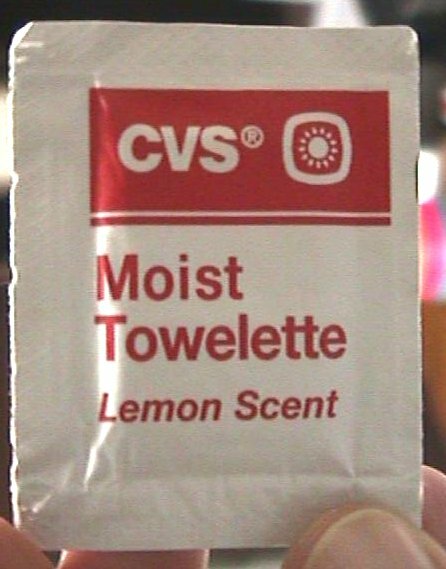 CVS Moist Towelette with lemon scent Thanks Ruth and Dwight. 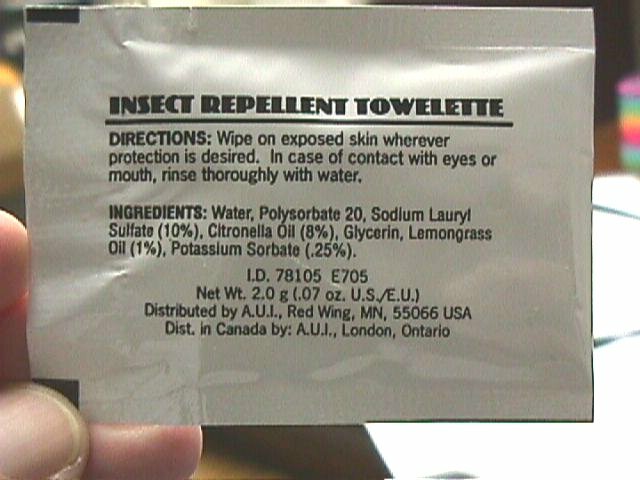 Cook Arts Science & Technology Center Insect Repellent Towelette Kudos to Irene. Click here to see my Pride and Joy! 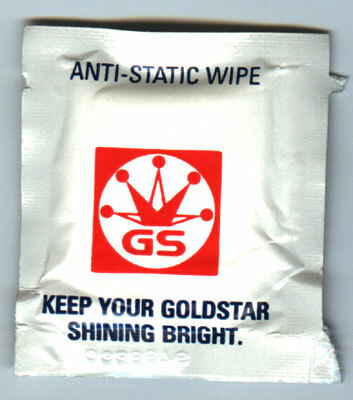 Note: Due to the overwhelming number of donations received, I might not be able to get all the recent towelettes on to the web page. 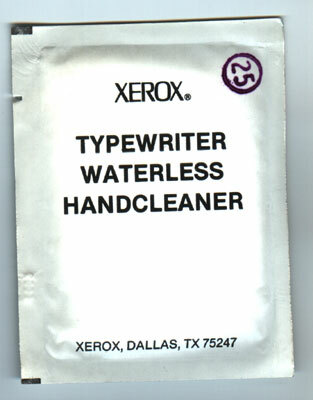 Be assured though, your towelettes are prominently displayed in the actual museum. 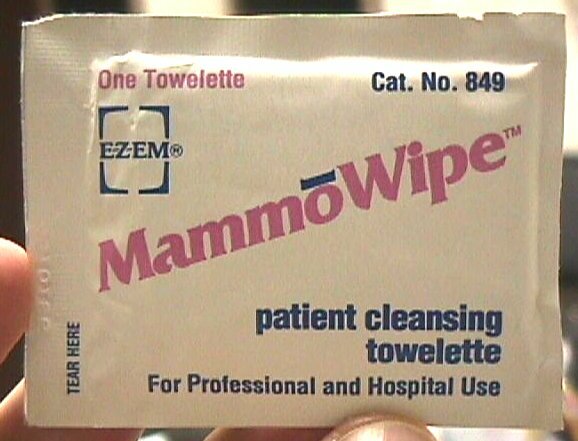 If you're in the East Lansing, Michigan area, stop by and visit the Moist Towelette Museum. It's located in room 100 at the Abrams Planetarium on the campus of Michigan State University. 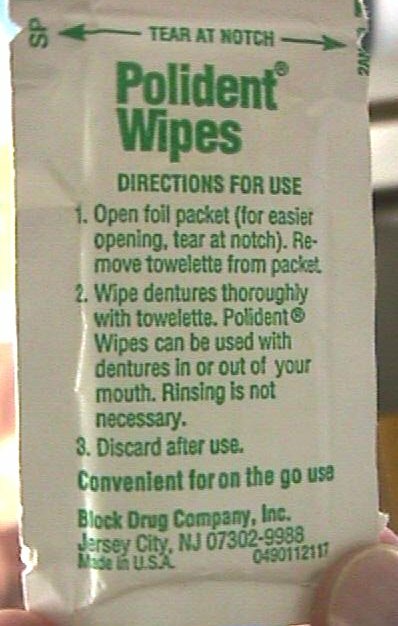 Moist Towelette Museum hours are 9:30 am to 4:30 pm, Tuesday through Friday. 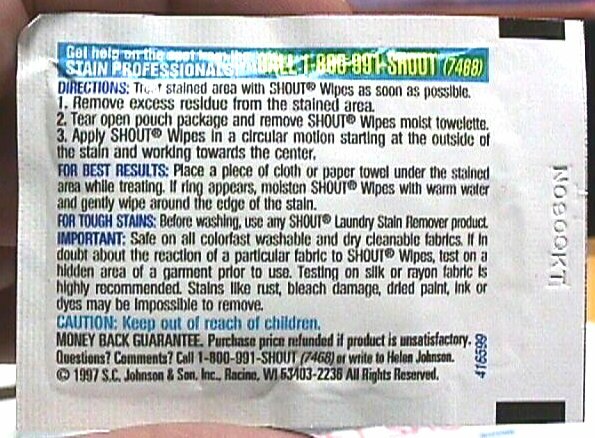 moist towelette fans can't be wrong! This page was last updated on April 8th, 2005. Did you enjoy this web site? 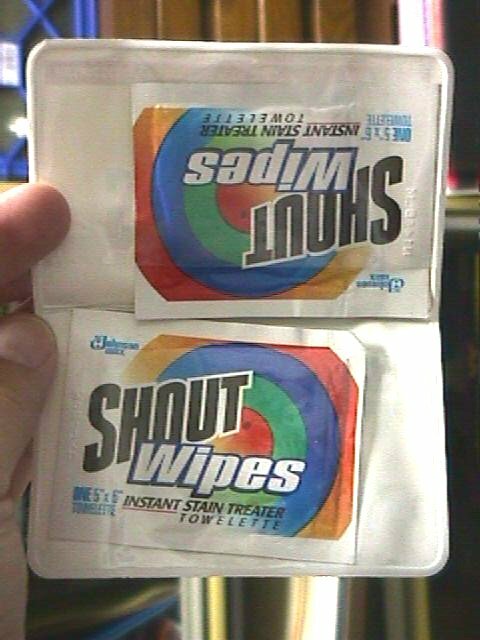 Do you want to help support Moist Towelette preservation? If so, you can send a donation to John French, Museum Curator using PayPal or Visa/Mastercard.